Beyond this world of time and space, existing prior to creation, Sophia, the Divine Wisdom, stands alone. There, in this uncreated center that She is, Sophia is not anything or anybody. She is not male or female, spirit or body. She is not anything at all. Indeed, even this name, Sophia, falls away and disintegrates into dust when one tastes Her sweet essence. Being nothing, Sophia is eternally virgin. She is pure unconditioned existence, the essence, or Nature, of all that is. No thought or conceptualization can touch or fragment Sophia. Her virginity is beyond fragmentation by the rational, philosophical mind that mistakes the literal for the real. Sophia is the timeless Ocean of Life where distance ceases to be and in which all creatures are grounded. Fools fear the end of time for they fear death. Yet, knowing Sophia one realizes the end of time is now and that one's essence is unborn. Is there any person who can conceive, comprehend, or grasp this idea concerning being unborn and as being anchored at the end of time and space? Is there anyone that is able to conceive his or her self as infinite life, being, or wisdom? I think not for it is the Conceiver that is inconceived and conceives us! Knowing our unity with the Conceiver is the end of time. This is the death of the ego and the birth of the Self. Sophia-Marie is the primordial Abyss. 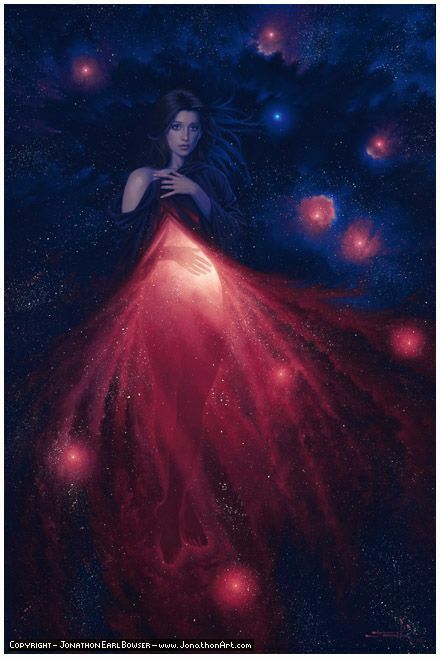 Though She is nothing, the negation of everything, She contains the All in Her womb. What we say is nothing is complete and all encompassing! What is negative contains what is positive. The female is the container of the male and is the inner reality of the male. What is outward is mirrored in the inward. I am a man; yet, from where do these thoughts arise if not the font of my mind? I gaze at the bodies of women and meditate on my inner workings. Spanning continents, Sophia emerges as the Keres Pueblo Thinking Woman as well as the Hindu Ananda, meaning Being, Consciousness and Bliss. Cross the oceans of love and She becomes the Christian Jerusalem, the City of Peace appearing at the end of time as the Bride of Lord Jesus. "All Her ways are peace," says the Bible. Where may peace be found? When is the end of time? The end of time is the realization and experience of what is eternally now. This is Ananda. This is Sophia. Call this what you will, for Sophia experienced in Her naked splendor is Lao Tzu's nameless Tao. Kiss Her lips and even the names Sophia, Ananda, and Tao dissolve into dust. Why is Sophia nameless? It is because She is beyond all thoughts and conceptualizations. She is the Absolute and undivided Brahmin to Whom thought goeth not. Yet, in Her all things are conceived, including conceptions of Herself. Praise Sophia with all your heart! Penetrate the depths of Heaven with your head, melt your being into Hers and know Her timeless bliss. Be Her lover. Can we hear our Mother's call for us to return home to our true Nature?